One way to help keep my decorating budget low is to do some DIY. 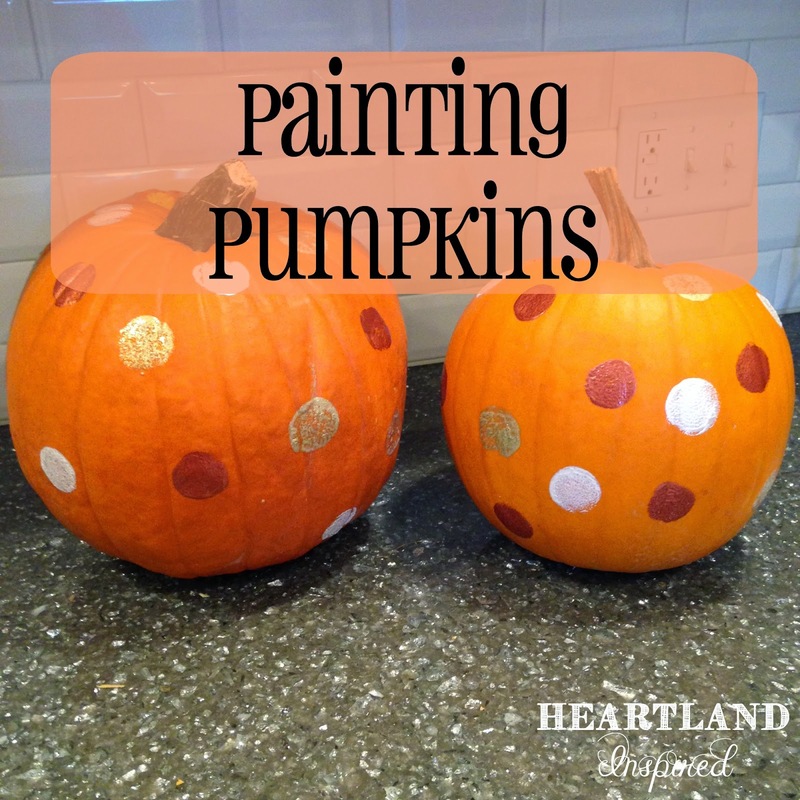 Today I am sharing my painted pumpkins. This isn't an original idea, but it is cheap and easy. 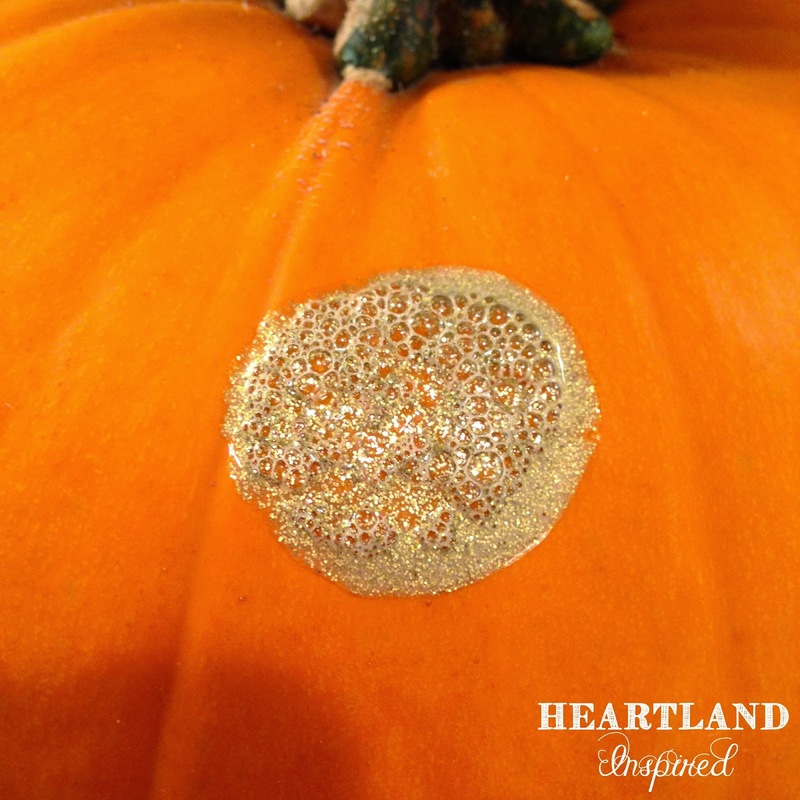 It also adds a little sparkle to plain orange pumpkins. First, the pumpkins. My mom and I visited Gust Brothers Pumpkin Farm on Saturday and they had so many pumpkins. It was a lot of fun to walk about and pick out what we wanted. It would be so easy to go pumpkin crazy. 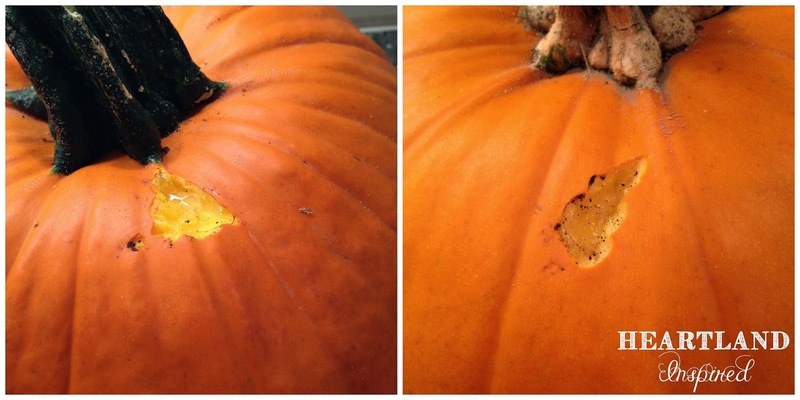 While my purchased pumpkins were sitting on the porch, a critter munched on them. I have a few neighborhood cats that wander about and I suspect one of them had a little snack sometime during the night. Picking colors to paint my pumpkins was actually a little more difficult than I thought. I wanted colors that would stand out against the orange, but still needed to have an autumnal quality to them. The colors I chose were rust, pearl and gold glitter. I love all things glitter! I really liked the color combination and how they looked against the orange. 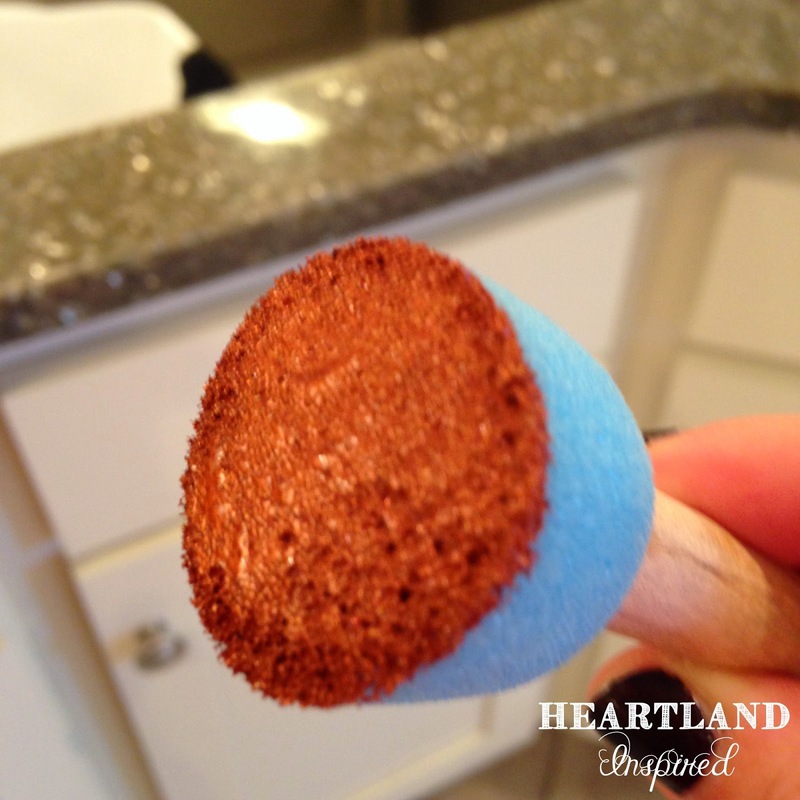 I used my handy dandy round sponge brushes to make my little circles. 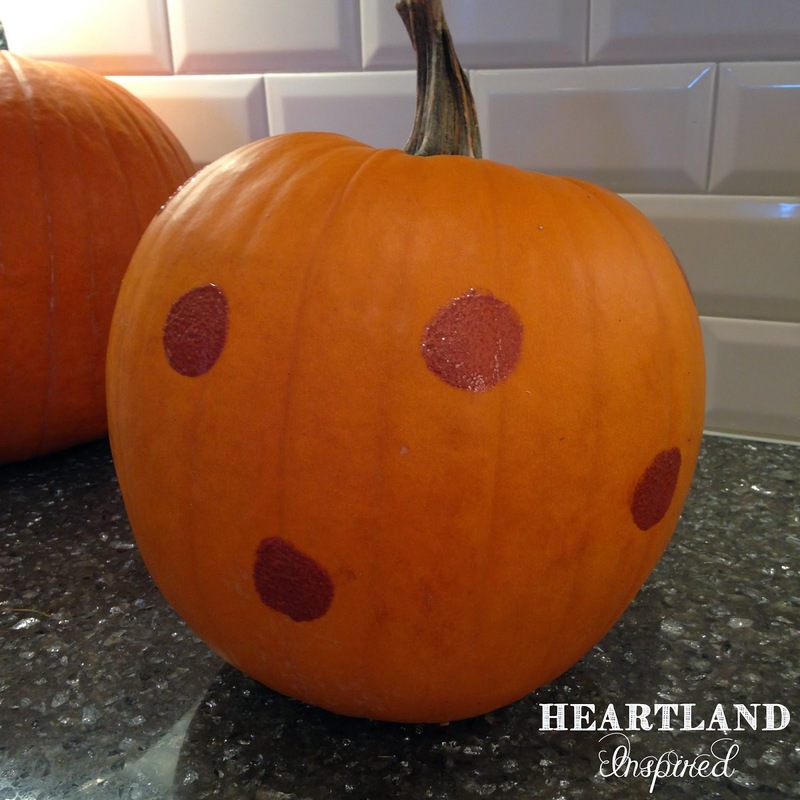 I just punched them on the pumpkins. 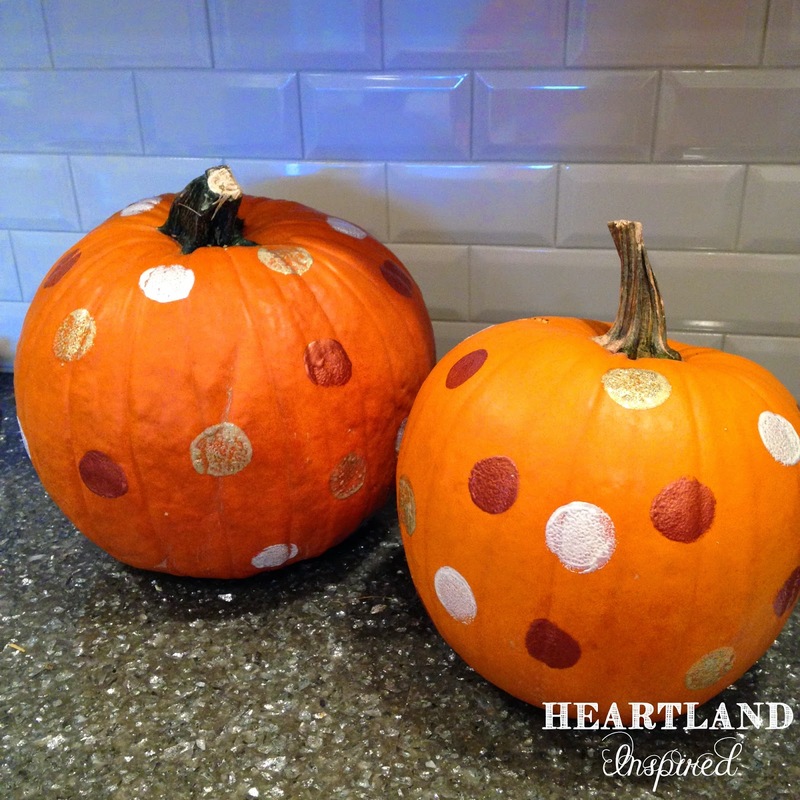 The round brushes made it so easy to make quick dots, which is the look I wanted. There was no rhyme or reason to the design. 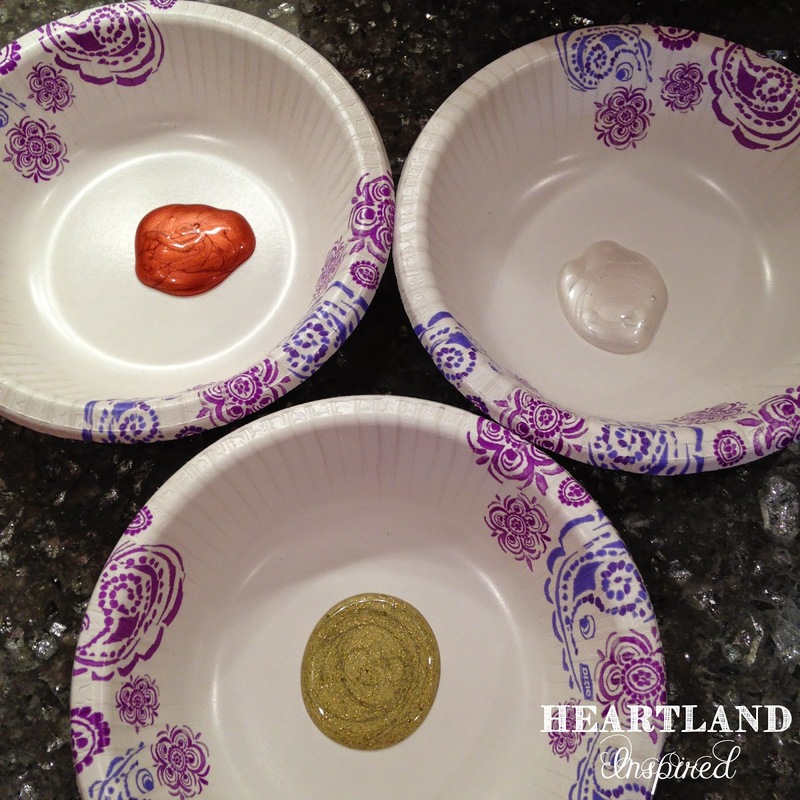 I was happy with the rust and white colors, but the gold did a weird bubbly thing. I am not sure why, but it still looks okay. 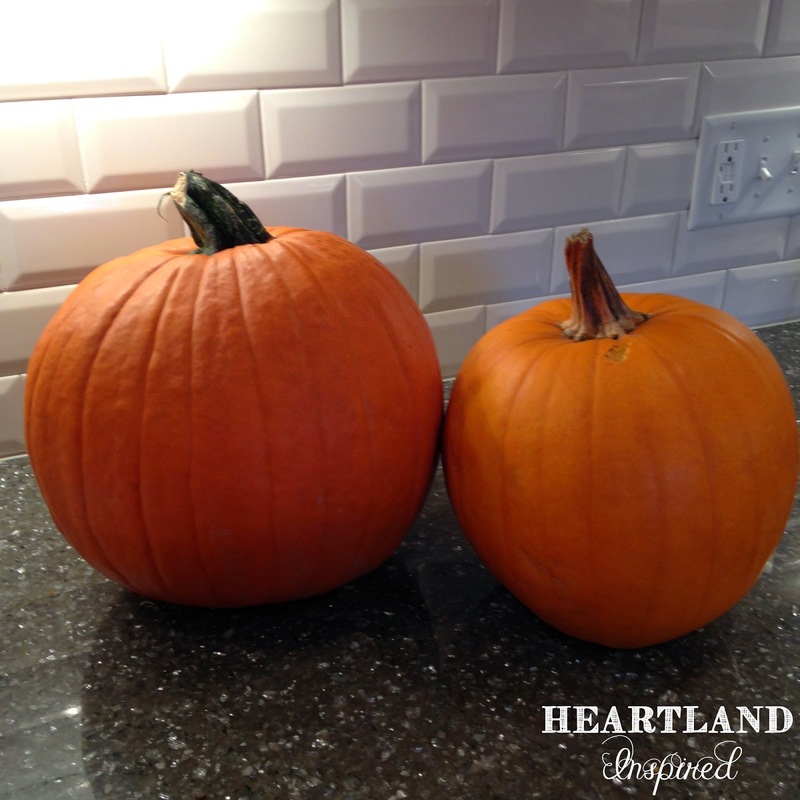 These pumpkins were not going to be in any museum as works of art. The finished product! I am happy with how they turned out. This project took all of about 15 minutes from start to finish. Also, the mess was kept to a complete minimum. 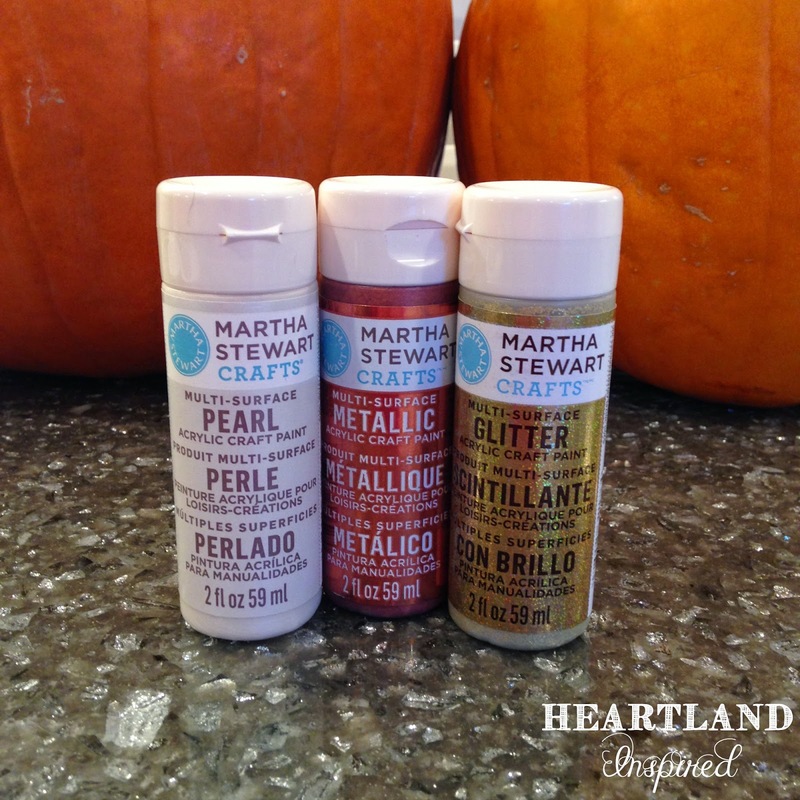 Tomorrow I will share where I am using my jazzed-up pumpkins. I like the bubbly gold!